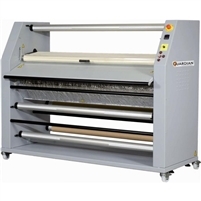 IT Supplies has a wide-range of heat press options from various brands. From production heat presses down to smaller mug and cap presses for dye sublimation we have an option to meet your needs. Need help finding the right heat press for your business? Give us a call at 1-800-771-9665. Geo Knight Maxi Press 44"x64"